Success! We are pleased to announce a number of seed exchanges! Big companies and European seed legislation threaten the diversity in our gardens and on our plates. Industry largely determines what we eat and what we sow. 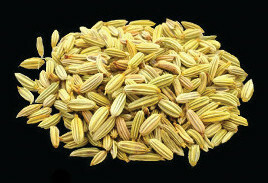 Hybrid seeds mainly yield profit for seed companies. How do open pollinated varieties fit into our gardens and farms? 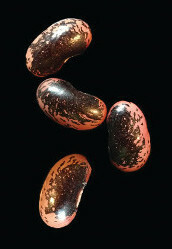 Velt, the Association for Ecological Living and Gardening, is promoting open pollinated varieties. Every year, this active group manages to drum up an impressive list of stalls and provides a number of good lectures and workshops. 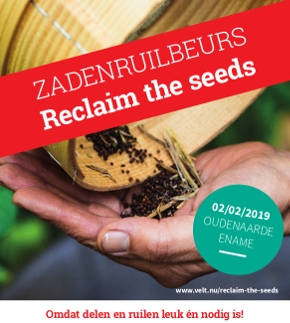 The ecological rural community Hof van Wezel will host a seedswap. There will be as well workshops, live music, food and drinks. Address: Ficarystraat 11, Beuningen. Start 14:00 hr. The northern provinces continued fanatically after Reclaim the Seeds in Groningen took place in 2014. There is a seed fair with a workshop programme every second Saturday in March, and this year is already the first lustrum! It all takes place in Drachten. Last year was the first Reclaim the Seeds at the Fruittuin van West farm. Despite the extremely cold and icy weather, the weekend attracted many participants. This year there will be more heated covered space and a more extensive market. With another critical and interesting workshop programme, this will be a good old fashioned Reclaim the Seeds. Three years ago, Reclaim the Seeds took place in Wageningen parallel to the Food Otherwise conference. Now, Boerengroep is again taking the lead with a regional seed exchange at Droevendaal Farm. More info on www.boerengroep.nl and a Facebook event. You can also exchange your seedlings a little later in the season. The well-known stall of TuinJoop will also be present in Ecodorp Bergen. At the moment we can not say much about the size of these Reclaim the Seeds events, so please keep following developments. The coming months will provide more clarity about the locations, stalls and workshop programmes. Because seeds, special crops and biodiversity are currently very important and popular, we expect that all of these festivals will attract many participants. But a small-scale, regional seed exchange is also very valuable. – Saturday 16 February 2019 in Rotterdam. Reclaim the Seeds took place here last year, and this year seeds can be exchanged at the five-year anniversary festival of Velt Rotterdam. – Saturday 16 March 2019 in Boekel: Groenmoesmarkt (green market). If you know about other seed exchanges, please let us know. We will try to provide a comprehensive oversight on this website . The earlier message from the ‘old’ core group of Reclaim the Seeds that we no longer have time to organise a large seed festival was clearly successful. Various people have responded, sometimes offering support and often with concrete suggestions and offers to help. Thank you for this!